I love finding amazing makeup products at my local drugstore and Maybelline never seems to disappoint me. 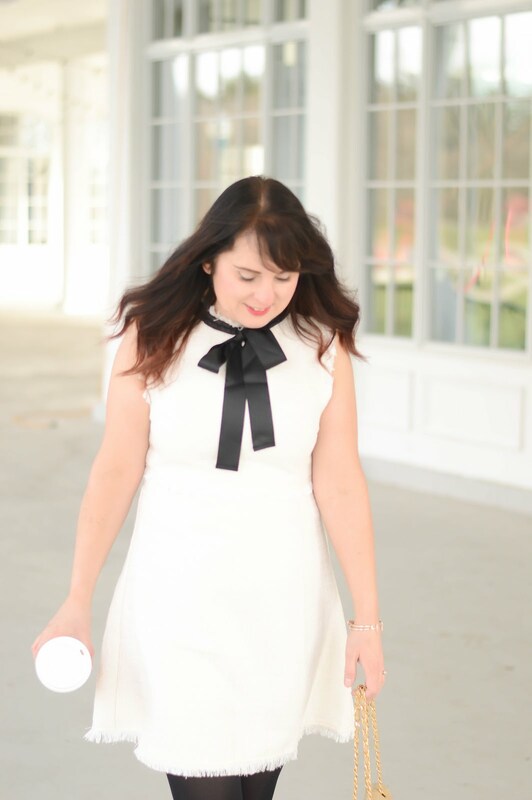 With so many new releases out there I thought I would put them all into one blog post so you can find the right one for you! First up! 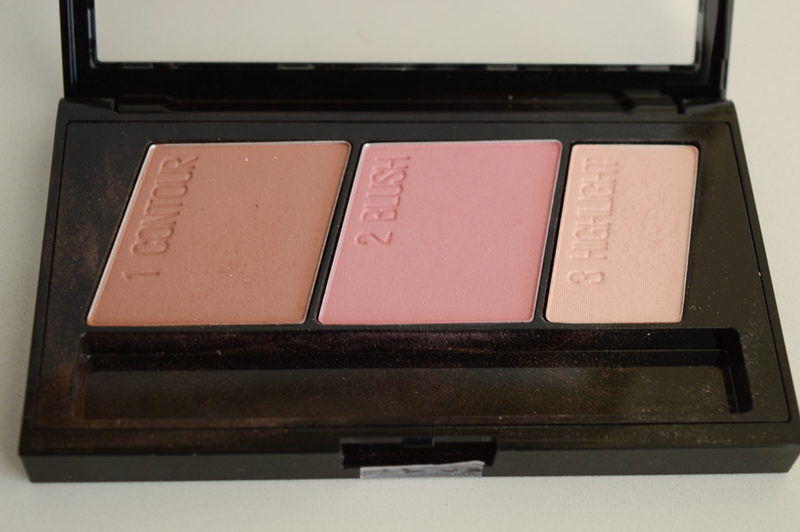 The Rock Nudes is a great eye shadow palette that offers some fantastic colour options. I love that this palette is inspired by our fave Rock Icons and the colour options are definitely bold and more daring. This palette ranges from neutral silver/greys to bold blues and purples. 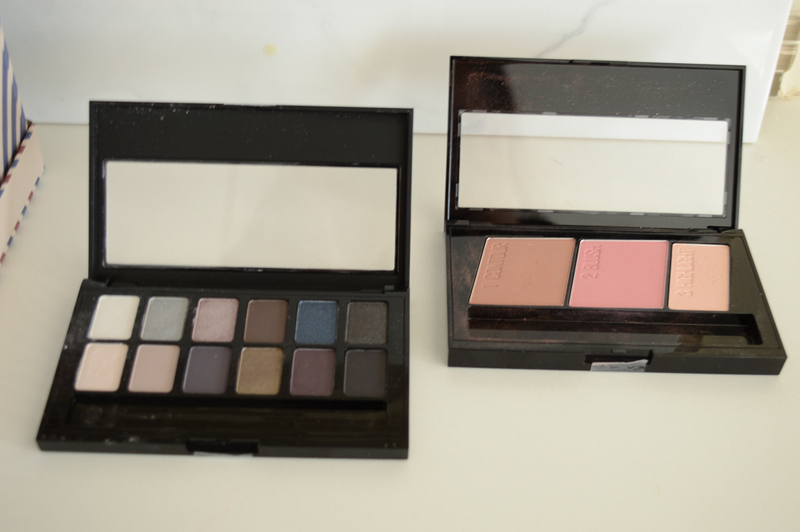 This is a great palette for creating a smoky eye! I love how easily the colours blend. The Master Contour palette offers a bronzer, blush and highlight shade in one kit. There are two different kits based on your skin tone and this one is the light/medium. I love this blush, the colour is fantastic, highly pigmented (so go easy) and looks great on my skin. The highlight shade is perfection, not too shimmery and just enough to give your skin the glow it needs. I admit, I am not much of a contour-er as I am still learning how to do this technique so stay tuned, but the bronzer is a lovely golden hue. I have been waiting for a budget friendly option eye brow pomade pencil for a while. The Brow Drama does not disappoint. 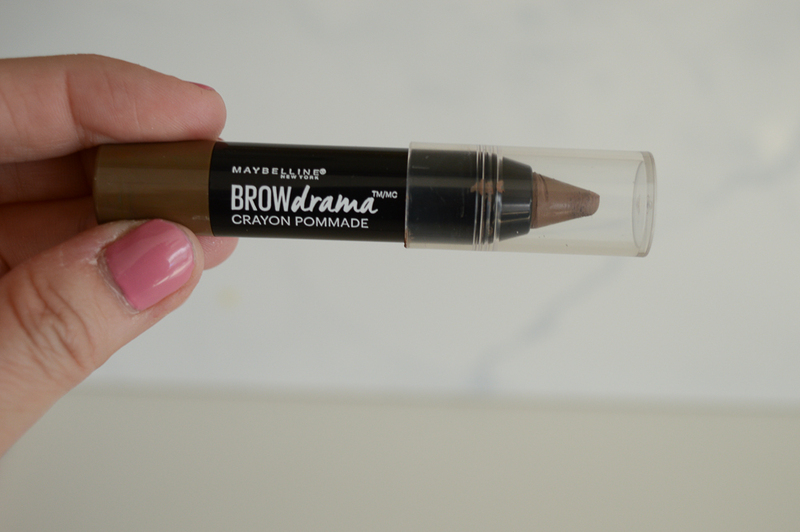 This product goes on your brows easily and the pomade really sticks to the brow hairs. My eyebrows are rather sparse and I found that this product filled them in nicely. Now onto my fave! 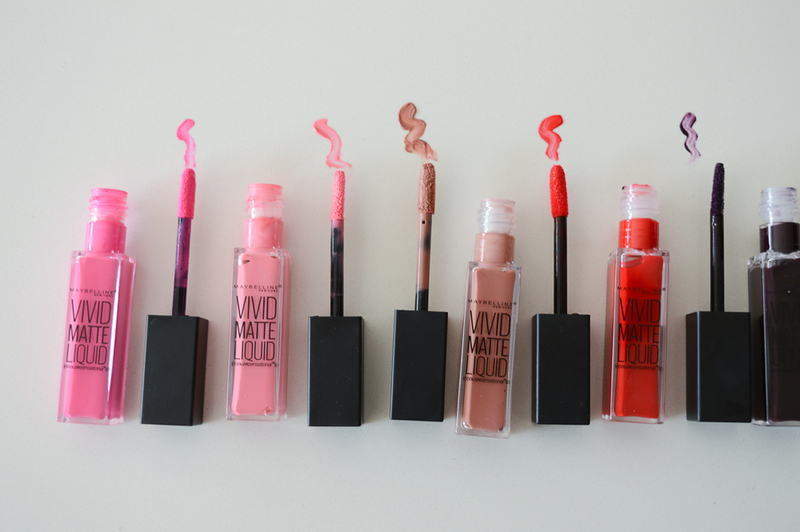 The Vivid Matte Lipsticks, these little liquid lipsticks really pack a punch! There are ten shades to choose from and don't be scared as the packaging makes the colours seem brighter than how they go on. I adore this product, the liquid lipstick is so easy to apply, and has great staying power. These colours are just gorgeous! LOOK at those pinks! 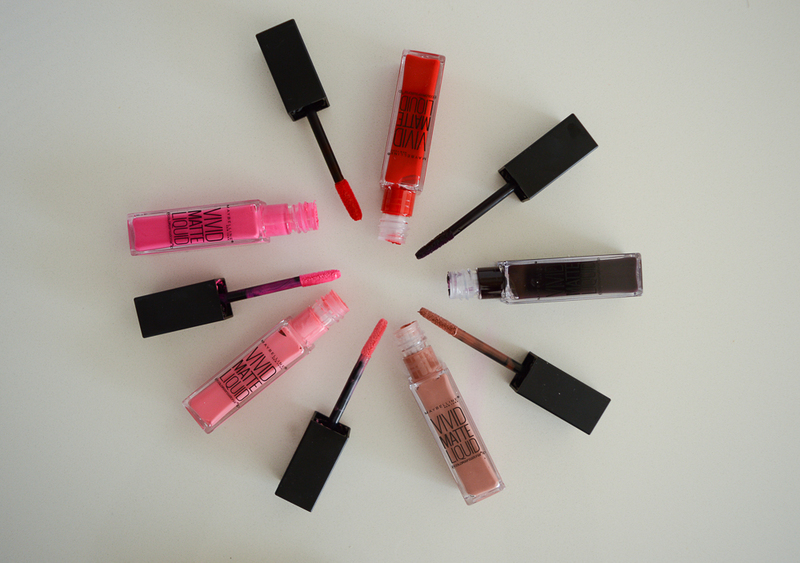 I am honestly wearing one of the pink shades everyday! 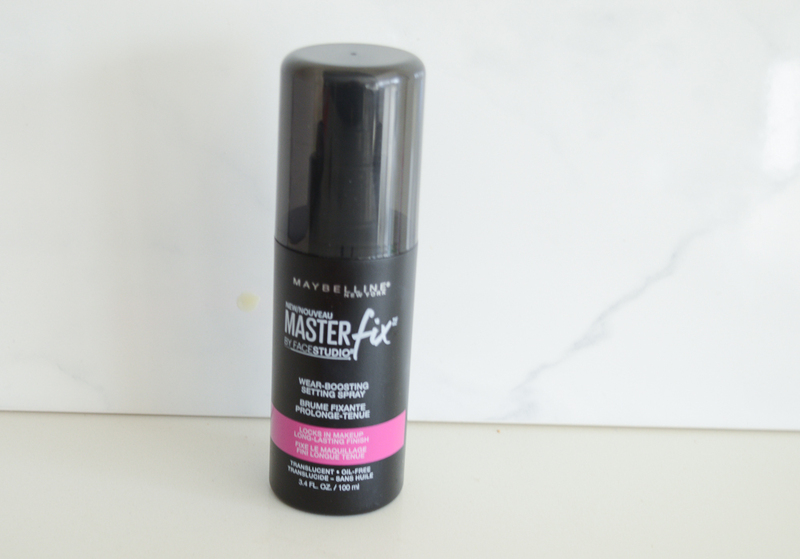 Last up is the Setting Spray which is used as a thin layer over your makeup to help set it in place. The setting spray prevents melting and colour fading. I love this product, it hold my makeup in place through the day and the price is amazing (under $20). You spray a fine mist on your face when your makeup is done, and you're good to go. 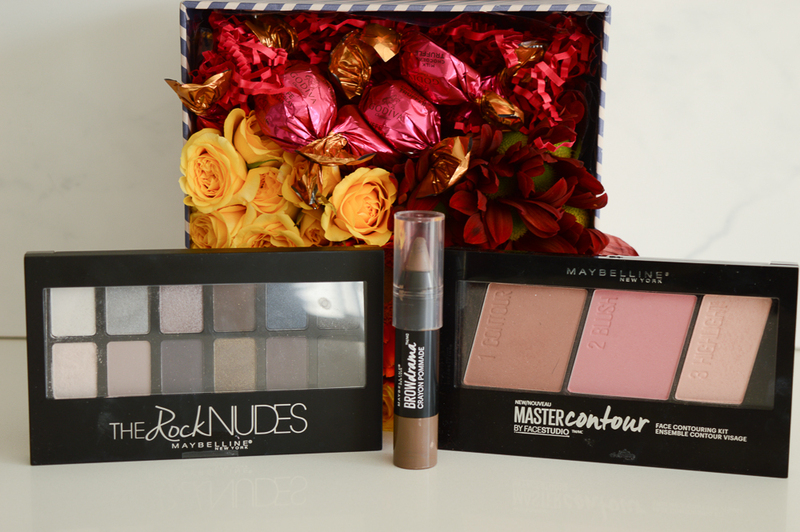 All of these products can be found at your local drugstore and Maybelline has really stepped up the makeup game by offering great products at an even greater price!